Elleevate Lash Lift Mascara by Elleebana has been designed as an everyday mascara that can be worn on lashes with or without a lash lift. This specially formulated mascara partners with a lash lift treatment and is gentle enough to be applied immediately after a lash lift in the salon. 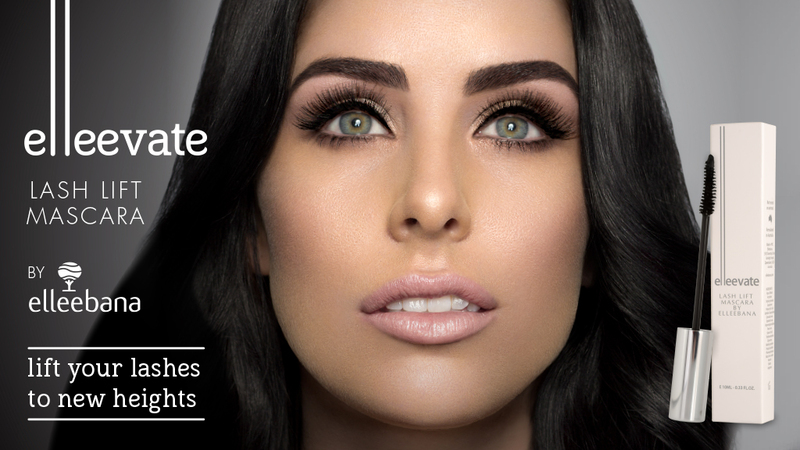 Elleevate mascara enhances the effect of a lash lift beautifully and glides on lashes with no clumping – just gorgeous lash enhancement. Elleevate contains naturally occurring Keratin complex – Keratin is a strengthening protein that is naturally found in skin, hair and nails. Keratins job is to protect and strengthen the natural lash while your client wears Elleevate. Essential Amino Acids Arginine and Biotin play the important role of healing and strengthening which speeds up the repair time and promotes healthy growth of lashes that might be damaged from wearing lash extensions, over styling or require some extra care. Elleebana does not encourage the use of mascaras on clients who wear lash extensions and therefore this mascara is not designed for this purpose. Please click here to find your closest distributor. Includes: Kit valued at $170 including additional products to the value of $33.95, training manual, poster and certificate upon submission of your 5 before and after images. 1. $150 non-refundable cancellation fee applies for each individual cancellation. Full payment is required to secure a students position at a course. Student numbers are to be confirmed on the Monday of the week prior to your training day. 2. We reserve the right to withhold issuing of a certificate until competency has been achieved. Includes: Kit valued at $450, training manual, poster and certificate upon submission of your successful case studies. 1. $150 non-refundable cancellation fee applies for each individual cancellation. Full payment is required to secure a student’s position at a course. Student numbers are to be confirmed on the Monday of the week prior to your training day. Includes: Course Kit valued at $372.50 (a total of 700 applications), manual and Elleebana Brow Henna Certificate of Completion. 1. $150 non-refundable cancellation fee applies for each individual cancellation. Full payment is required to secure a student's position at a course. Student numbers are to be confirmed on the Monday of the week prior to your training day. If this date is not suitable please contact the venue for the possibility of additional dates. This course is one on one, if this date is not suitable for you, please contact Le Beauty for additional dates. 1. $150 non-refundable cancellation fee applies for each individual cancellation. Full payment is required to secure a studentâs position at a course. Student numbers are to be confirmed on the Monday of the week prior to your training day. Includes: Course Kit valued at $435, a comprehensive manual and Elleebana Beginner’s Volume Certificate of Completion. Times: This course is to be completed over 2 consecutive days.